Welcome to Travel Guide 2 Israel, the site about travel, tourism and vacations in Israel. Israel is a country in Southwest Asia. Israel borders Egypt, Jordan, Lebanon and Syria, as well as having borders with the partly Palestinian-administered West Bank and Gaza Strip. There is a short coast on the Gulf of Aqaba on the Red Sea, near the city of Eilat, but the main Israeli coastline lines on the Mediterranean Sea. The country is the world's only Jewish state, but there are people of other religions who live in, and are citizens of, Israel, including Muslims, Christians and Druze. 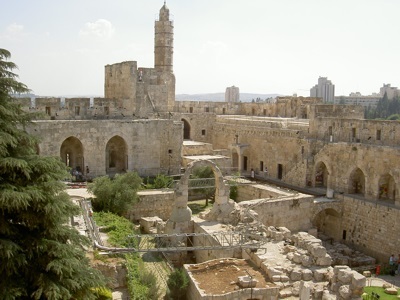 There are also many historic and religious sites in the country, especially in Jerusalem, and there are sites of importance to the Jewish, Muslim, Christian and Bahá'í faith in the country. As of 2007, Israel has an estimated population of 7.15 million - this includes approximately 185,000 Jews living in East Jerusalem (which many countries do not recognize as part of Israel). Just over three quarters of the population of Israel are Jewish, and approximately 20% of the population are Israeli Arabs, of whom most are Muslim, although there are also significant numbers of Christian and Druze Israeli Arabs. 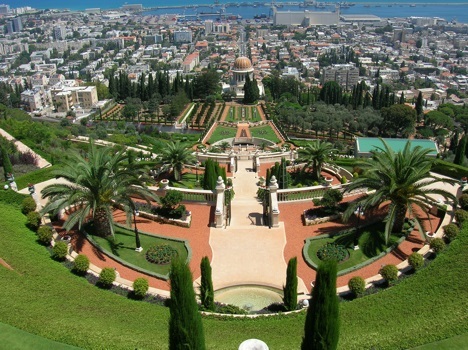 There are also relatively small numbers of other religious groups in Israel including Buddhists, Hindus and Bahá'í - there are a number of important Bahá'í sites in Haifa. Israeli law states that the country's capital is Jerusalem, although many other nations and the United Nations does not recognize it as such. 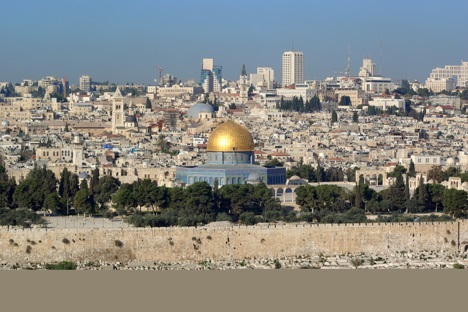 In any case, Jerusalem is the country's largest city. There are thirteen other cities in Israel with populations over 100,000 ( Ashdod, Ashkelon, Bat Yam, Beersheba, Bnei Brak, Haifa, Holon, Netanya, Petah Tikva, Ramat Gan, Rehovot, Rishon LeZion and Tel Aviv-Jaffa), as well as, of course, many smaller cities. Israel has one of the most advanced economies in the Middle East, with a free market orientation high GDP per capita, and many sophisticated industries. The country is almost self-sufficient in food production (except for grains and beef), and exports fruit and vegetables. Important industries include chemicals, military equipment and technology, pharmaceuticals and software. Tourism, especially religious tourism, is also an important sector of the economy, although security problems have reduced the number of tourists visiting the country in recent years.